1. The resort must be all-inclusive, preferably with an adults-only section, since we’re purposely leaving our kids at home. This is simply, the simplest way to go. 2. The reviews must be outstanding. We will spend hundreds of hours on-line reading reviews before making our final decision. This is the absolute worst part of the whole trip. 3. We must have direct flights and the resort must be fairly close to the airport. With only 4 nights, it’s essential to make the most of every minute at your destination. You don’t need to waste time in multiple airports or on long, uncomfortable shuttle bus rides. 4. We must have a room with 2 beds (this just makes things more comfortable but cannot always be confirmed when making the reservation). So far we’ve been lucky. 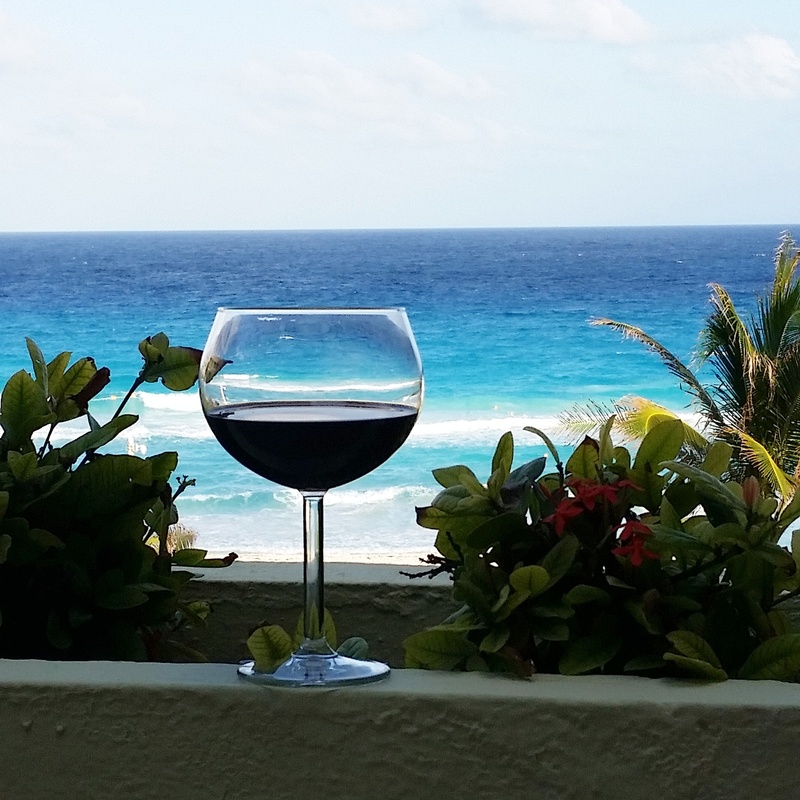 The balcony is a perfect place to enjoy your coffee (or wine)! 5. Our room must have a balcony. Sitting outside and having our coffee in the morning (or cocktails in the afternoon! ), is an actual highlight of the day for us. 6. Speaking of coffee, there must be a coffee maker in the room. We do not speak before the coffee, except to talk about making the coffee. If the coffee maker is an issue (as it was on this last trip), pre-scheduled, room service delivery of the coffee is an acceptable substitution. 8. The food must be outstanding with a good amount of variety. We’re ok with a buffet for breakfast & lunch, but there must be at least 3-4 good a la carte restaurants for dinner. And the reservation system should be hassle-free. 9. There should be some kind of shopping nearby (this is the only time we leave the resort and it usually only happens once). I should mention that the purpose of this trip is to relax, not immerse ourselves in the culture or zip-line through the jungle. We save those for the “family” trips. 10. And the final requirements are my favorites… the sand must be white, the water must be blue and the pools better be clean. As I sat in the warm sun, staring out at this spectacular view the other day, I suddenly realized that I was truly and fully “living in the moment.” Just looking at the aqua blue water, listening to the sound of the crashing waves and feeling a total warmth on my body, I was completely engaged in my surroundings. I didn’t care to read my book or check-in online or do anything else that would distract me from the sheer pleasure of what I was experiencing at that moment in time. It was incredibly powerful. It’s not often that I get to do this at home. My mind is always racing, full of all the things I need to do or facing the guilt of what I should be doing. I guess that’s what makes getting away so important to me. To be able to just sit, undistributed, in the most beautiful and serene places and actually appreciate that special time. 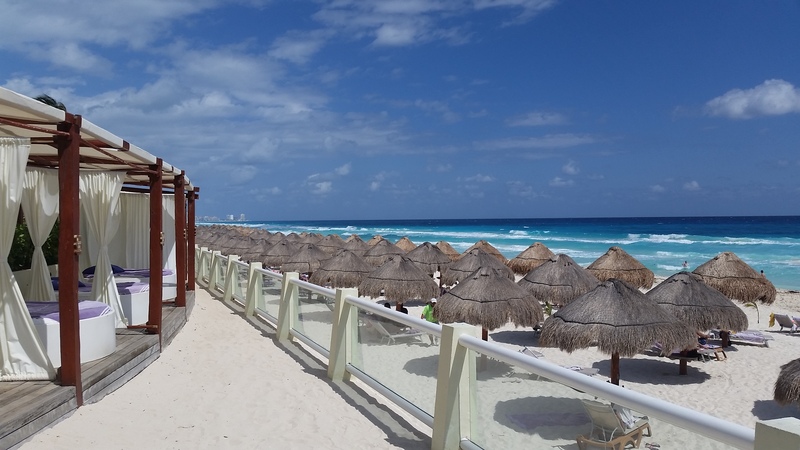 Cancun was absolutely gorgeous and a full review of our resort, The Paradisus, will be coming in the next few days. Hopefully, I have enough shots of the incredible beach to help everyone “live in the THAT moment” with me! We have arrived!!! 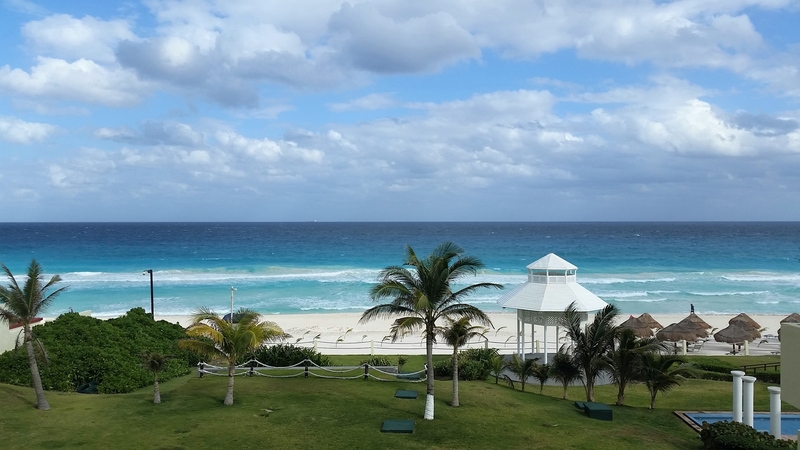 View from our room at the Paradisus Cancun… Stay tuned for more! 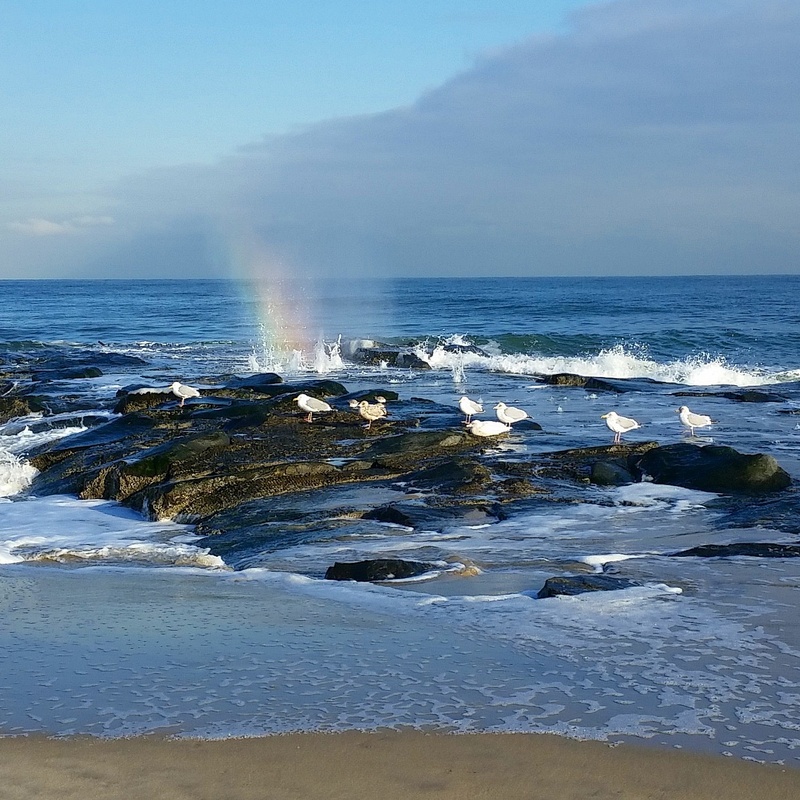 My own “home beach” in Ocean Grove looked gorgeous this afternoon once the snow finally stopped and the sun came out. The cold was invigorating… although not quite enough to join the brave soul I saw paddle boarding through the icy surf! On January 2nd of this year, we made our second trip to this fairly new theme park in Winter Haven, FL. 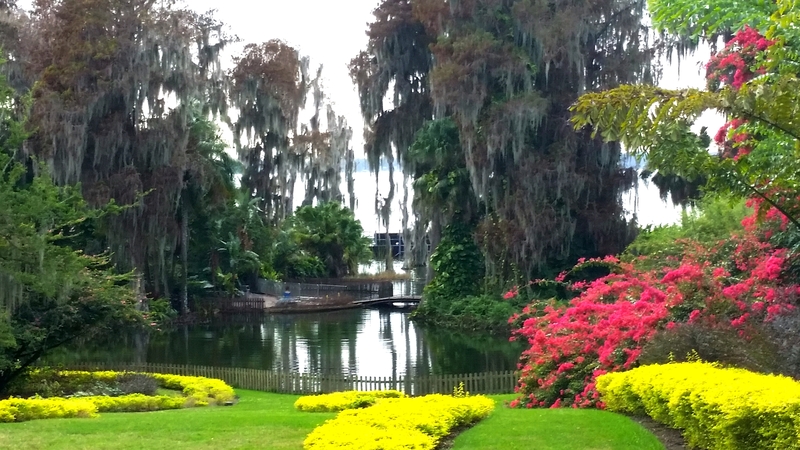 This time I discovered what used to draw people here in the first place… the original “Cypress Gardens.” Opened in 1936, this 30-acre botanical garden was Florida’s first commercial theme park. It is now nestled inside this plastic-piece haven, but still provides a beautiful oasis filled with tropical flowers, incredible trees & peaceful streams. That’s my mom… She’s tiny, but the tree really is enormous! 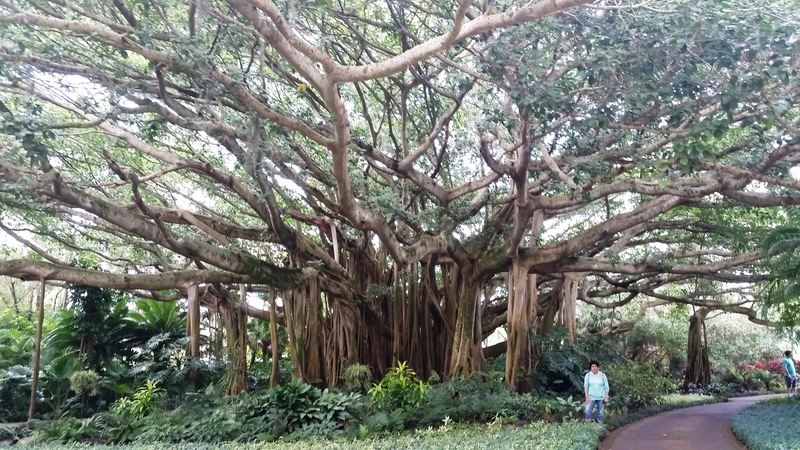 The centerpiece of this magical area is a gigantic Banyan Tree. 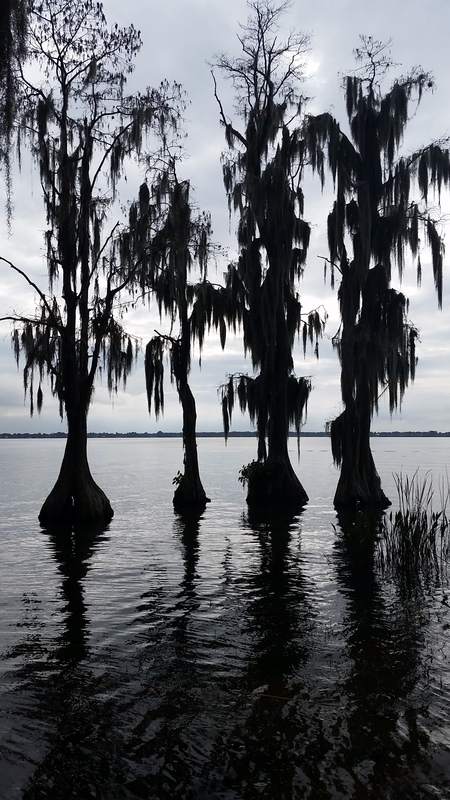 I’m guessing it spreads out over at least a 50-foot span (if not more), with new roots dropping everywhere to form multiple limbs all around. 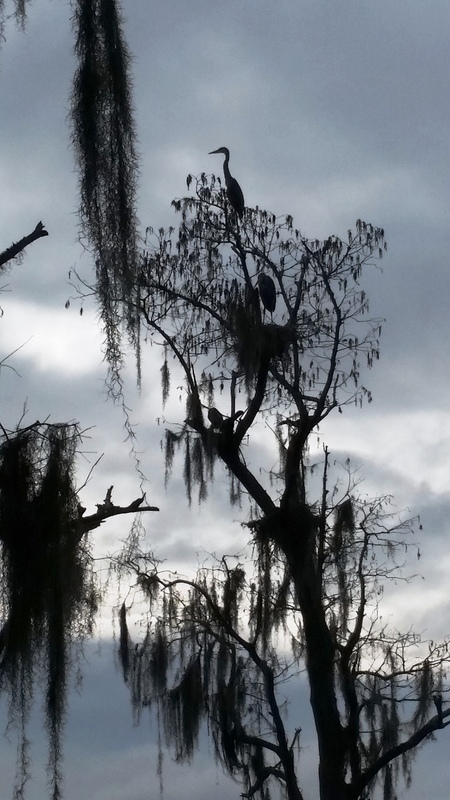 Stand underneath it, in the very center, and look up to see a miraculous web of uninterrupted growth. The park is bordered on one whole side by Lake Eloise (where the famous water-skiing shows were featured in Cyprus Gardens’ heyday) and where most of the Legoland shows still take place. It’s a beautiful backdrop for the foliage & wildlife that now reside in this section of the garden. 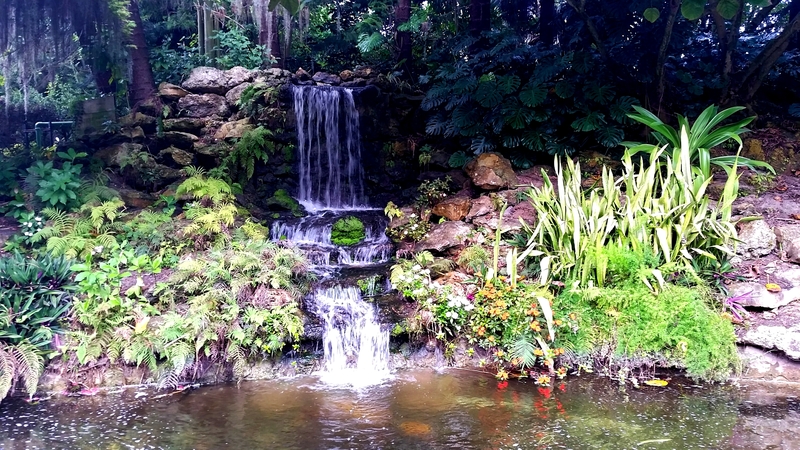 Along the winding paths in this botanical paradise, there are streams & small waterfalls where we saw plenty of birds and fish… we even heard mention of a gator sighting! The 3 shades of the Yesterday, Today & Tomorrow plant. And the flowers were amazing… I was totally fascinated by this “Yesterday, Today & Tomorrow” plant. I had never seen, nor heard of this beautiful flowering bush and was immediately fascinated by it. 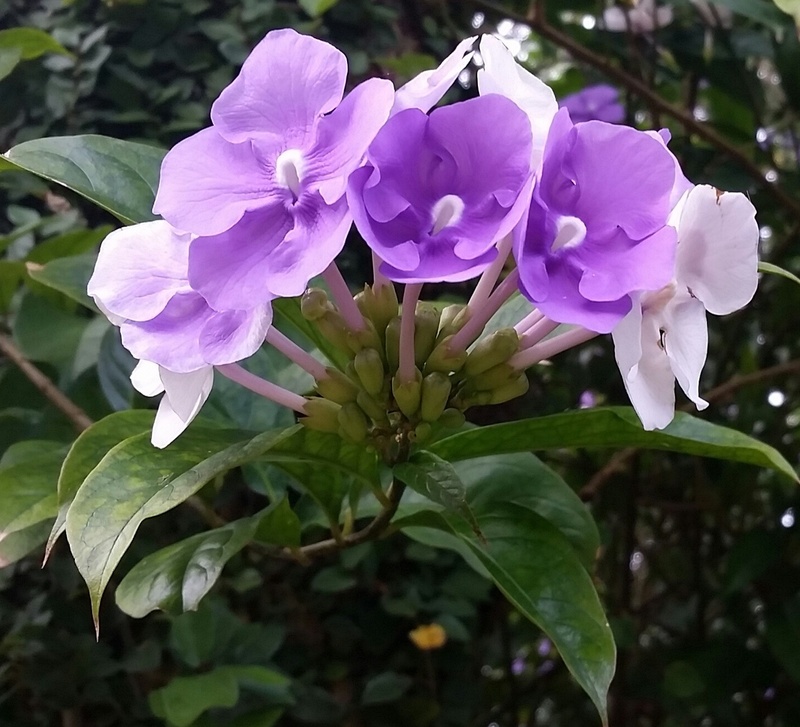 A native of Brazil, the “Brunfelsia” has lush green foliage, accented by clusters of small flowers that change colors in a 3-day cycle. It first blooms in a purple or violet shade, the next day, that same flower changes to a pale lavender and finally on the 3rd day, the flower turns completely white. With hundreds of blooms on a single plant, it’s absolutely gorgeous! Our “Keepsake Photo” from Project X. 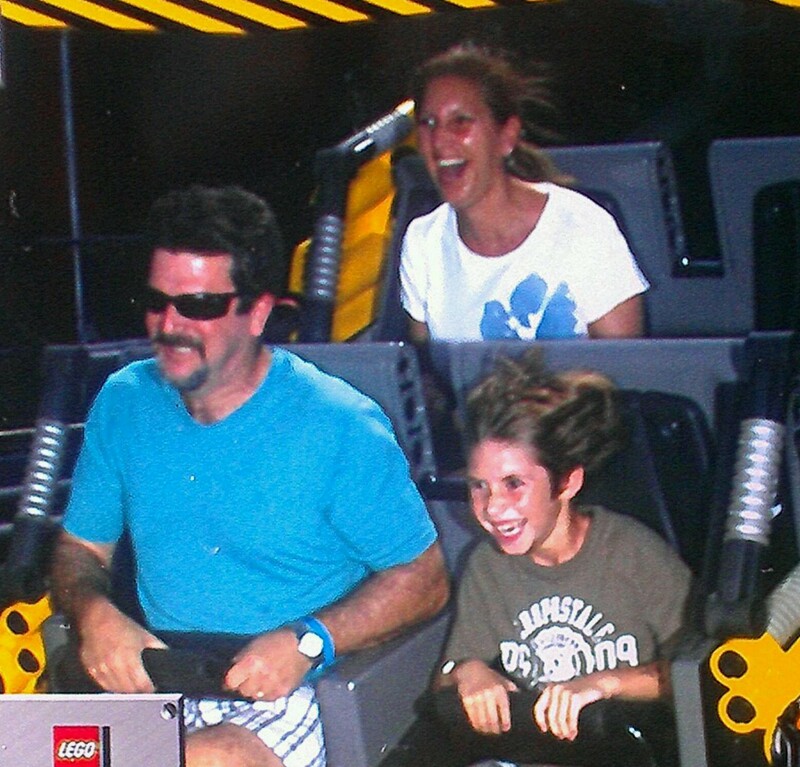 Now don’t get me wrong, Legoland itself is still a worthy destination for the whole family (and my son’s favorite park). It has a nice assortment of rides, including a few good coasters (“Project X” is a must do) and plenty of Lego stores, shows and decent places to eat. My son could have spent most of the day in the “Build & Test” section of the Imagination Zone where you can build & race your own Lego vehicles, but he also loved the rides, the mini village and the 4-D movies. Located just 45 minutes south of Orlando, Legoland provides an easy escape from the mad rush of Disney and easily entertains a wide range of ages. Big news at the park this year is the opening on May 15th of their very own 152-room, Lego-themed hotel. Not sure you’d need to stay more than one day, but the hotel itself looks like it will provide plenty of its own additional entertainment. In our 2 visits here, we still haven’t ventured into the Legoland Water Park – guess that will be on the list for next time! 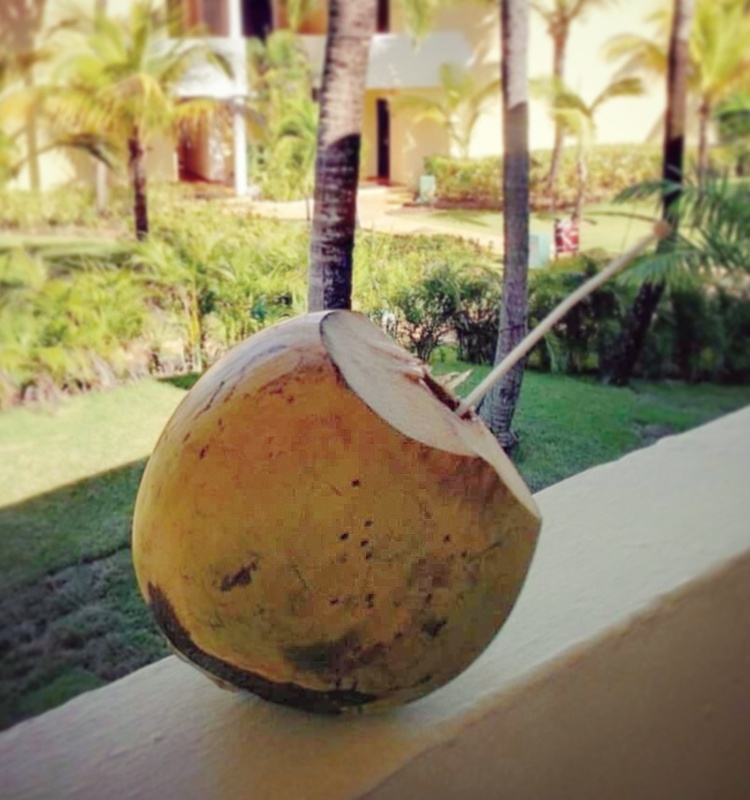 My own fresh coconut at the Melia Caribe Tropical in Punta Cana. A lot has been said about the benefits of the coconut recently. You can read about it everywhere… the milk, the oil, the uses seem to be endless. I even have a friend who created the most amazing body salt scrub made with organic coconut oil – it’s fantastic! Check out her web site and order your own at www.aplantbasedlife.com. Beach view at the Ocean Sand & Blue in Punta Cana.